The Buffalo crime family, also known as the Magaddino crime family or The Arm, is an Italian American Mafia crime family based in Buffalo, United States. The family operates throughout Western New York, Ontario, Canada and Erie, Pennsylvania. The Buffalo crime family gained power during the Prohibition era through bootlegging. In 1931, family boss Stefano Magaddino became an original member of The Commission, and his family remained relatively peaceful until the 1960s when his leadership was challenged. The family broke into separate factions as they tried to assassinate Magaddino who died of natural causes on July 19, 1974. Following Magaddino's death the family continued its war until the early 1980s when Joseph Todaro became the boss. Todaro united the family and retired in 2006, leaving Leonard Falzone as the current boss. Buffalo, New York, is located at the eastern end of Lake Erie, at the southern head of the Niagara River, directly across from the Canadian border town of Fort Erie, Ontario. Buffalo saw a huge influx of Italian immigrants from the 1890s through the 1920s, as the area provided abundant jobs for immigrants willing to do manual labor. The local mills and factories flourished as they made use of the hydro-electric power gained from nearby Niagara Falls. The opening of the Saint Lawrence Seaway in 1957 provided additional employment opportunities on Buffalo's busy waterfront. Buffalo is the state's second largest city after New York and was one of the first American cities to have electricity. Like many other cities, such as New York, Chicago, Boston, Detroit and Pittsburgh, the West Side of Buffalo saw the growth of a "Little Italy" neighborhood in the early 20th century. The East Side neighborhood of Lovejoy also had a small Italian immigrant community. In the 1980s the demographics of the West Side shifted, becoming a predominantly Hispanic neighborhood, and now the North Side near Hertel Ave. is home to the largest Italian-American community in Buffalo. The first known Mafia boss in Buffalo was Angelo "Buffalo Bill" Palmeri, who immigrated from the Sicilian town of Castellammare del Golfo, in 1908 or 1909. Palmeri was a well-known Sicilian mafioso who took over Buffalo's Little Italy by extracting extortion money from groceries, pushcart vendors and Italian food vendors. He also consorted with (and possibly led) a group of Black Hand extortionists who preyed on both legal and illegal businesses, including the "taxing" of local pimps, prostitutes and drug dealers. 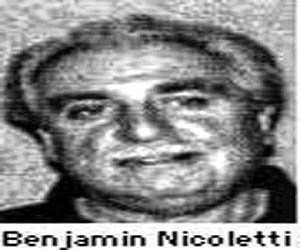 Palmeri's affiliation was with the Mafia group known as the Castellammarese Clan, which had satellite groups all across the United States, from the big cities of New York, Philadelphia, Detroit, and Chicago to smaller towns such as Scranton, Pennsylvania. Stefano Magaddino was born on October 10, 1891, and emigrated to the United States from Castellammare del Golfo, Sicily, sometime in the early- to mid-1910s. He settled in the Sicilian enclave of Williamsburg in Brooklyn, New York. Magaddino came from a well-known and powerful Mafia family and already had the reputation of a hardened killer upon his arrival in the States. Magaddino quickly established himself in New York's underworld and became a group leader in his Mafia clan, extorting, stealing and cheating his way to success and wealth. He quickly established his group of Castellammarese mafiosi known as "The Good Killers" as a powerful presence in the underworld. In 1921 he was arrested in New York, along with a close associate and fellow Castellammarese named Gaspar Milazzo, for their alleged involvement in a murder of a man in Avon, New Jersey. The victim was a member of the Buccellato family of Castellammare, a rival Mafia clan that Magaddino, his relatives and associates had warred with in Sicily for years. After being released by New York law enforcement, Milazzo moved to another large Castellammarese community in Detroit, while Magaddino moved his base of operations to western New York, settling first in the city of Buffalo, then moving north to the city of Niagara Falls by 1922. Magaddino was a close associate of Angelo Palmeri, and upon the death of his underboss Joseph Peter DiCarlo, Palmeri urged the respected and feared Magaddino to take over as boss. Magaddino accepted the position and named Palmeri his senior adviser. Under Magaddino the crime family became influential during the Prohibition era, benefiting from its proximity to the Canadian border and from the many underworld connections Magaddino possessed nationwide. Throughout Prohibition the Magaddino crime family had strong ties to Canadian Mafia groups in southern Ontario, which supplied liquor to many American underworld groups to smuggle into the United States. 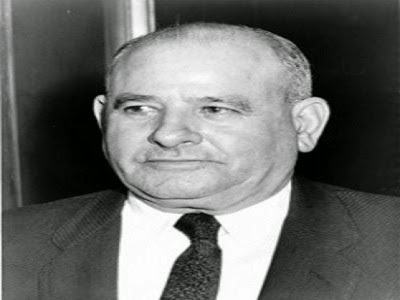 The most well-known association was with Hamilton Mafia boss Rocco Perri, (see King of the Mob by James Dubro for more details) who led a large group of Calabrian mafiosi and was called "Canada's Al Capone" and "King of the Bootleggers" by the media. Magaddino and his crime family became extremely wealthy during Prohibition, and throughout the 1920s Magaddino made sure that his criminal interests and territory were protected from rivals. There were a large number of underworld deaths labeled "gang hits" in the western New York and southern Ontario regions during Prohibition. 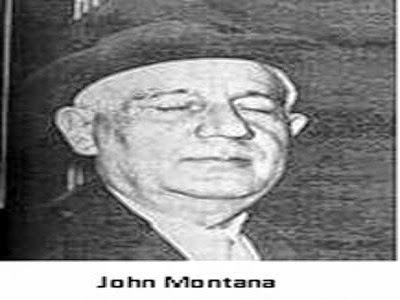 Some were tied to the "Bootleg Wars" between American and Canadian bootleggers, while others were the result of the "Sugar Wars" between the Magaddino crime family and the Porrello crime family of Cleveland, Ohio. The Sugar Wars erupted when the Porellos tried to expand their corn sugar business into eastern Pennsylvania and western New York at the expense of Magaddino and his group, but Magaddino's forces quickly put an end to the grand ambitions of the Cleveland mafiosi. The Magaddino crime family grew in power and influence throughout the 1920s and began to establish itself on a national level through the many influential criminal association Magaddino had forged with other Mafia bosses in New York, Philadelphia, Pittsburgh, Detroit and Chicago.